First of all, here is a doodle I did yesterday, not expressly for the purposes of Tuesday Art Day, but it works! Some people have asked me how doodley is a doodle (i.e. how long do I spend on something like this?) I’d say this is about a half hour doodle. So, above the ranks of an in-the-margin of a notebook type doodle, but not hours and hours either. Secondly, I’d like to share with you a piece of art that is not MY art, but rather something I commissioned from the talented Aly Flock. This was a surprise gift for Voss of the two of our characters; I just gave Aly some reference images and character info and this is what she came up with. It is perfect and I’m thrilled with it. 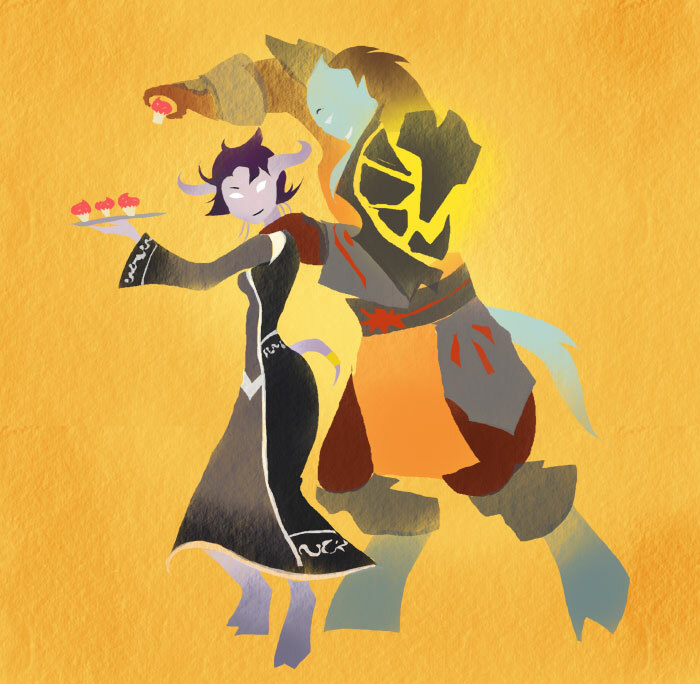 Also, cupcakes?! How could she have known? 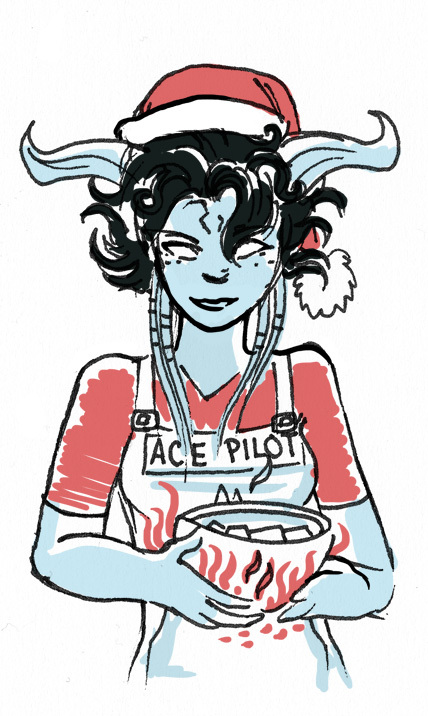 Well, Millya’s love of baking was in her character description, but STILL. These were the cupcakes I brought to Fannon’s barbecue. I’m just saying. Remarkable likeness, don’t you think? 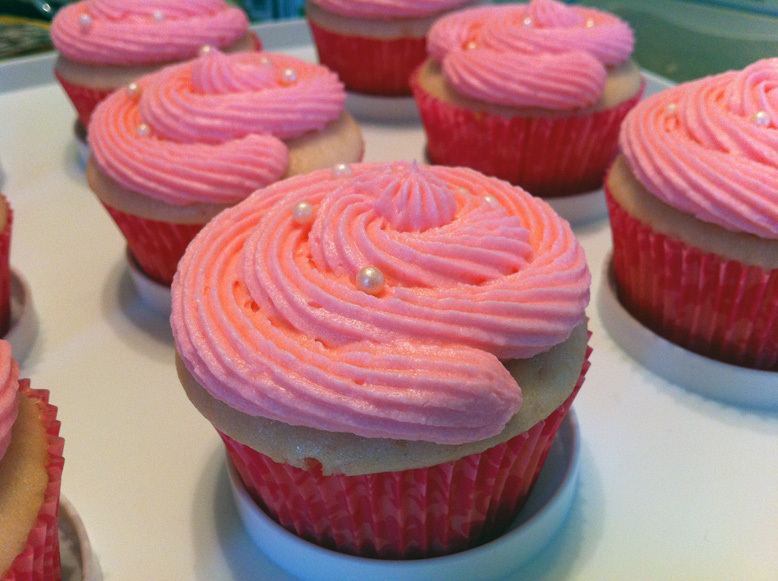 If you’re interested in the recipe, it’s here: Pink Champagne Cupcakes, and yes they were as awesome as they sound. They had a sort of…fizzy taste to them? I made mini versions too, but something odd about the champagne was causing the tiny wrappers to peel away from the cakes. They still tasted good. 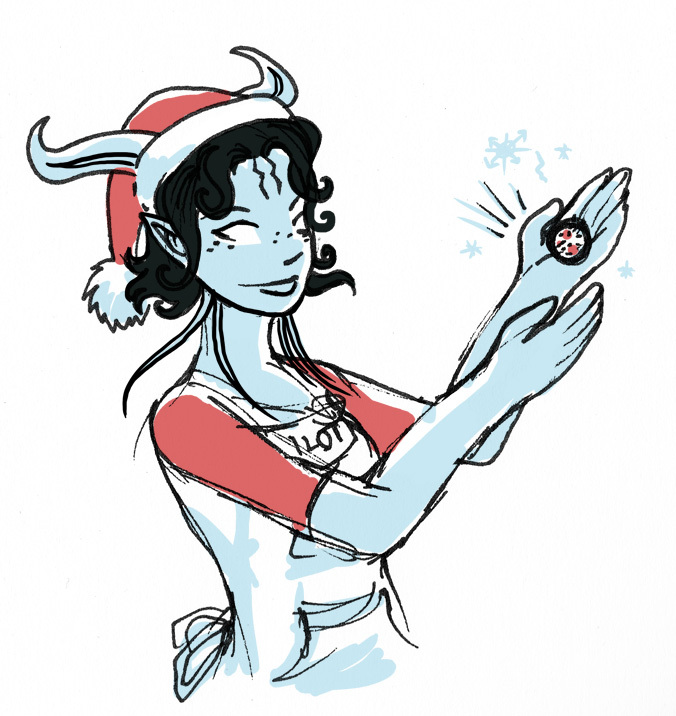 Winter Veil is coming, and you all know what that means! It is time for more cooking. Earlier this year we made Unconjured Cinnamon Bun Frost Cookies and Fiery Gromsblood Soup. Now we’ll be conjuring up some delicious confectioneries. Well, you aren’t going to conjure them, you’re going to make them, but these are so easy that you’ll hardly know the difference! They are perfect for when you want a gift or treat that looks as if you spent a great deal of time to make it – but you really didn’t. 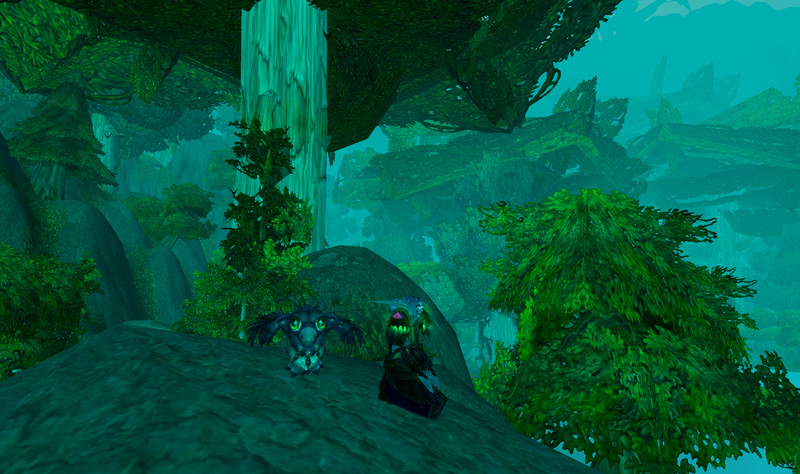 (This is a mage recipe, after all. I see no reason for needless expenditure of effort). This recipe will make about twenty-four truffles. You won’t need this done until later, but you’ll thank me for telling you before you start! 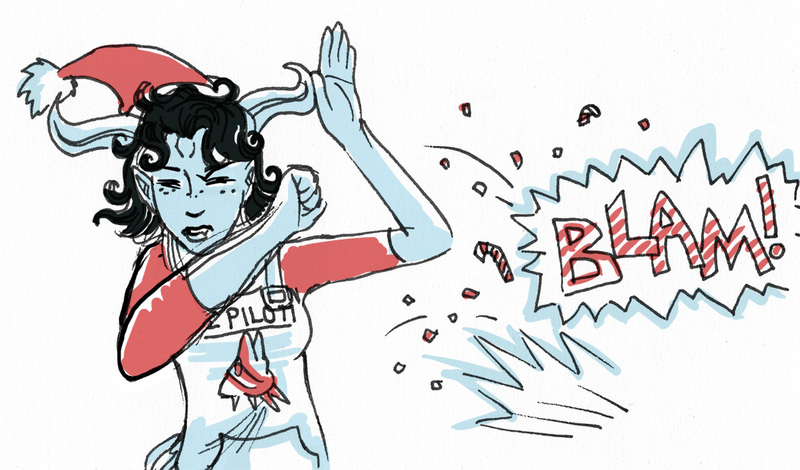 The first thing you have to do is crush your candy canes. This can be accomplished through various means; there are some shattering spells, frost spells that can do this. Sometimes the results can be disastrous, though. Please exercise extreme caution. If you do not have access to spells for this purpose, you will have to crush the canes manually. Put them into a bag. Make sure the bag is very secure. You can use a rolling pin or a meat mallet to gently tap the canes and break them apart, rolling over them as they get smaller. They should be finely crushed. Take care when asking for any assistance at this step that your kitchen assistant is not… overzealous. I speak from experience. So. Now you have some finely crushed candy canes. If you’re fortunate, you don’t have candy cane shrapnel spread the length and breadth of your entire kitchen… If you’re unfortunate, find a warrior to clean up this ridiculous mess (then crush the replacement candy canes yourself). Take the candy cane bits and place them in a shallow dish. Only a very LITTLE heat. Oh. You can’t just cast a “hot hands,” spell? Well, you could… um, I don’t know…Find a mage to do it for you. (If you have access to a magic heat box microwave thing, microwave it for one minute). The chocolate should be almost but not quite melted! Stir it until it’s smooth, then set it aside to cool a little bit. Take your Boulderslide Cheese (it should be softened, so let it get to room temperature first) and beat it thoroughly until it’s smooth. Add the chocolate and beat the two together until they’re smooth. 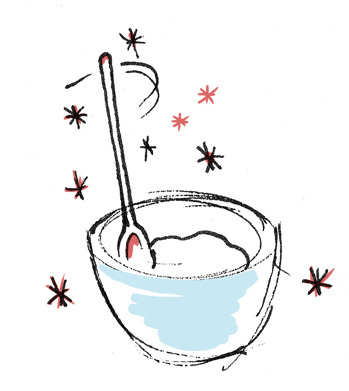 Add one cup of your Oshu’gun Crystal Powder to the mixture and blend it in. You can just let the spoon do this itself and go off to do other things. Starting to make a dough. Once that’s mixed, add the rest of the crystal powder and mix it some more. It should form a soft dough at this point and be fairly easy to manipulate. 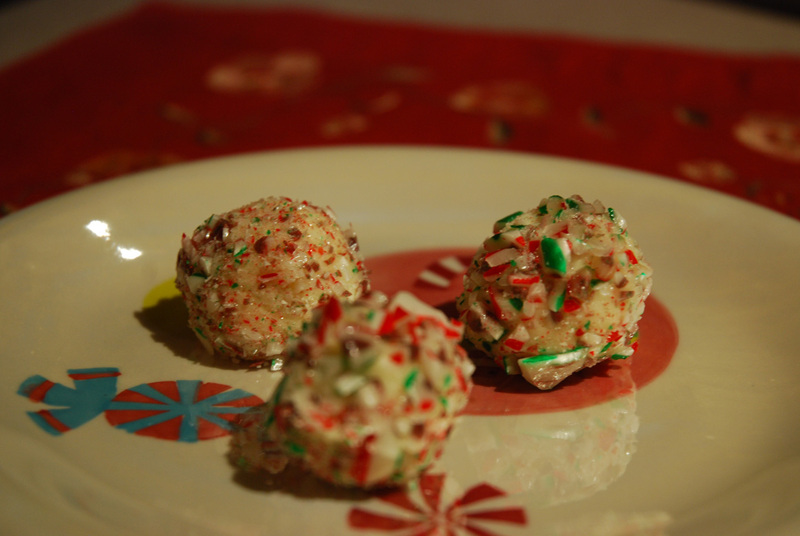 Use a spoon to scoop out consistent amounts of the dough, form them into balls and gently roll them in your candy cane powder! This works best if you do not take too long about it – the heat from your hands can make the dough a bit sticky, but that’s okay. 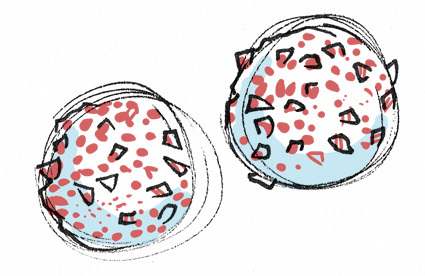 Set your truffles on a piece of parchment as you complete them and chill, with a spell or in the icebox. Once they’ve chilled you can put them in a container, but it’s best to keep them cool until you are ready to eat them. They are delightful little morsels. Depending on the size of your candy canes and whether they are allowed to grow warm, sometimes the candy cane colour can run a bit. This will not affect their taste. I hope you enjoy the truffles! We usually enjoy them so thoroughly that I make a double batch. 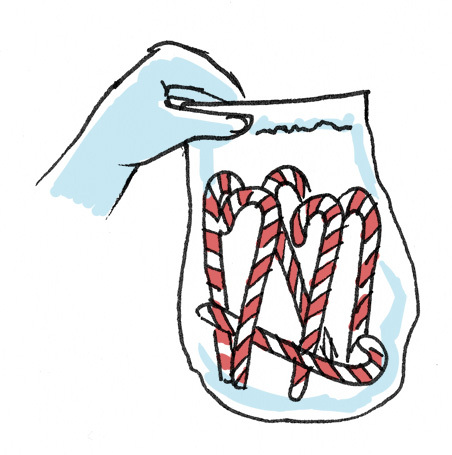 You can use candy canes that have green, red and white if you like, or simply the red and white ones, it’s up to you! I hadn’t made these this year myself until just last night, so now I have a photo of the real thing to add.